The academic excellence at Neville Wadia College is reflected in its student’s exemplary record in placements in the corporate and management sectors. 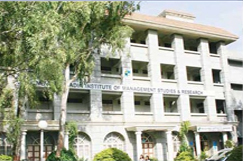 Neville Wadia College has consistently maintained an excellent recruitment record. The graduates and post- graduates of Neville Wadia College have been recruited by some of the world’s leading corporates, besides leading Indian companies. The sheer diversity of Indian economy and society, whose different shades are represented among the students and faculty, prepares the students to work in global multicultural corporations / industries. Placement and Training Department is also providing necessary Pre-Placement Training for the pre-final year students in the form of Pre-Placement talks arranged of various industries / corporates, training from the seniors on nature of the written test being imparted and process of interview of different industries. Placement Department also regularly organizes talks from the various professionals from different universities for pursuing higher education in abroad and talks from trainers for taking competitive exams. Expose the students to Industrial environments. Render the students to participate in value-added programmes. Assist the students in realizing their short-term career goals. Update the information regarding developmental activities in the various industrial sectors.